The owner of a big Cafe shop started suffering big losses in his profits. His loyal customers were no more coming to have their favourite coffee, plus very few new customers were turning up. After researching and gathering feedback from some customers, he found that people were getting “bored” with his menu and there was nothing which charmed them. Hence, he brainstormed and came with idea to introduce new food items and include a live guitar performance each day. This demanded good investment and it was a risk he was willing to take. Loaded with new food items and hiring a professional singer/musician, he started promoting his cafe through various ads. His efforts worked and new customers started coming. But, after few days, again he reached back to where he had started. Customers started declining again. This trend continued for days and business was again going in loss. Dejected by his failed ideas, when he reached the brink to close his business, he got an offer from one of his happy customers who was a big investor. That helped him to carry out new ideas and his business again was in profit! 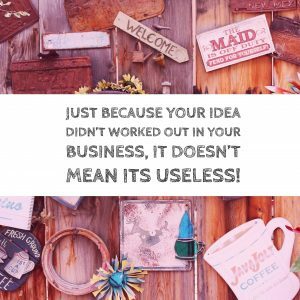 Just because his initial ideas didn’t worked out in his business, it doesn’t mean its useless! No idea is bad, they all are dots which connect your business journey path. We @NeoGrowth help in the success of your business journey through our loans! You can also download NeoGrowth-business-loans PDF file for your reference.